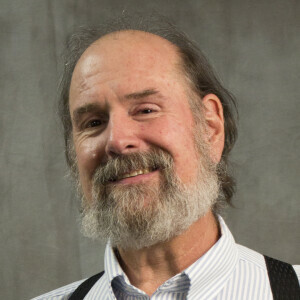 A native Californian, Dr. Arbino has been at Gateway Seminary since 1986 and began his full-time teaching duties in 1996, achieving the rank of Full Professor in 2011. For Dr. Arbino, integrating the biblical text with its contexts (historical, literary, canonical, and theological) is essential for the interpretation of God's Word. Because of this, he seeks to bring the Old Testament to life for students, challenging them to read fully and carefully the words of Scripture to see their beauty, detail, and nuance as the Divinely inspired product of the ancient world, one which continues to speak to our contemporary world. In this way, Dr. Arbino feels that "we will be conformed to the text rather than insisting that the text conform to us." Since 1990, Dr. Arbino has been active in archaeological excavations. He has served on staff at several digs in the Middle East: Tel Miqne-Ekron, Tall al-Umeryi, Beth Shemesh, and Tel Rehov. He currently serves as the Senior Field Archaeologist for the Tel Gezer Excavations, a position he has held since 2006. As longtime Curator of the Seminary's archaeological museum, Dr. Arbino brings the results of archaeological fieldwork and analysis to students and local community members. Over the past three decades he has produced numerous displays. Recently he moved the Museum to its new home at the Ontario campus, creating a completely new museum space consisting of four galleries, with exhibits including Ancient Egypt, Roman Glassware, Ancient Pottery, Archaeological Method, and Greek, Jewish, and Roman Period Coins. In addition, he has produced a smaller exhibit for the San Francisco campus. He teaches courses in Hebrew Bible (Old Testament) and Biblical Hebrew at the Bay Area Campus. Arbino also leads PhD and ThM seminars specializing in 2nd Temple Jewish Literature and Old Testament Theology at the Ontario campus. Through his writings and presentations, Dr. Arbino hopes to engage both the scholarly and church communities in discussions about the meaning of the Bible as seen through a grounding in its historical and cultural contexts. He is active in professional organizations including the Society of Biblical Literature (SBL), National Association of Professors of Hebrew (NAPH), and American Schools of Oriental Research (ASOR). As well as serving on the Advisory Council for NAPH, he has served on the ASOR Board of Trustees and as a member and Chair of several committees; he was given the ASOR Membership Service Award in 2014. Dr. Arbino continues to be instrumental in serving the institution. In addition to regular committee work, he functioned as Biblical Studies Department Chair for more than 15 years, and has twice been a key part of the leadership of the reaccreditation (WASC & ATS) processes. Dr. Arbino is active in church, where he teaches a weekly adult Bible study class. He lives with his wife, Maggie, and their dog, Sophie, in Petaluma.